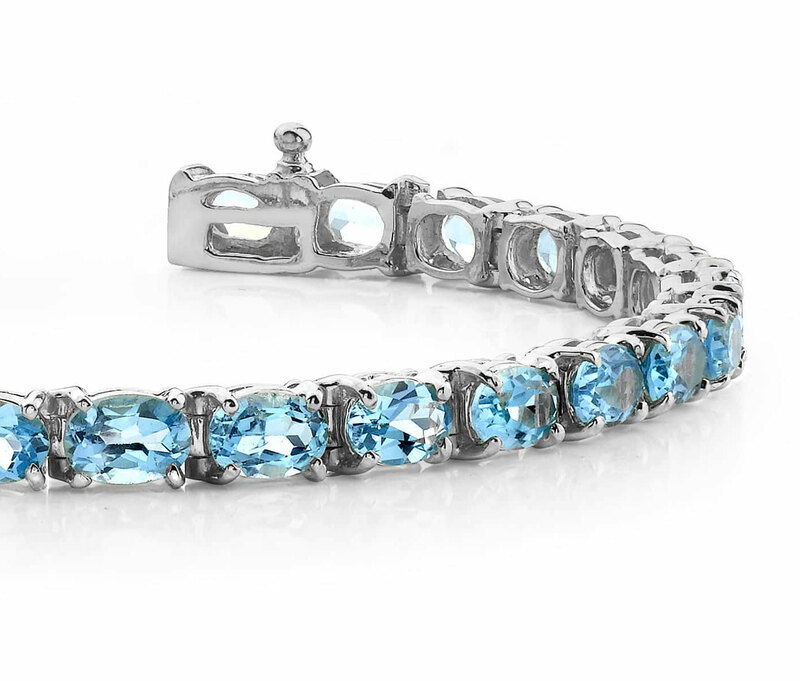 Between 18 and 22 incredible, oval stones adorn this unique bracelet. The most unique part is how these lovely gems are linked together with your choice of gold or platinum. The links are small, yet strong, so the focus is always on the stones! 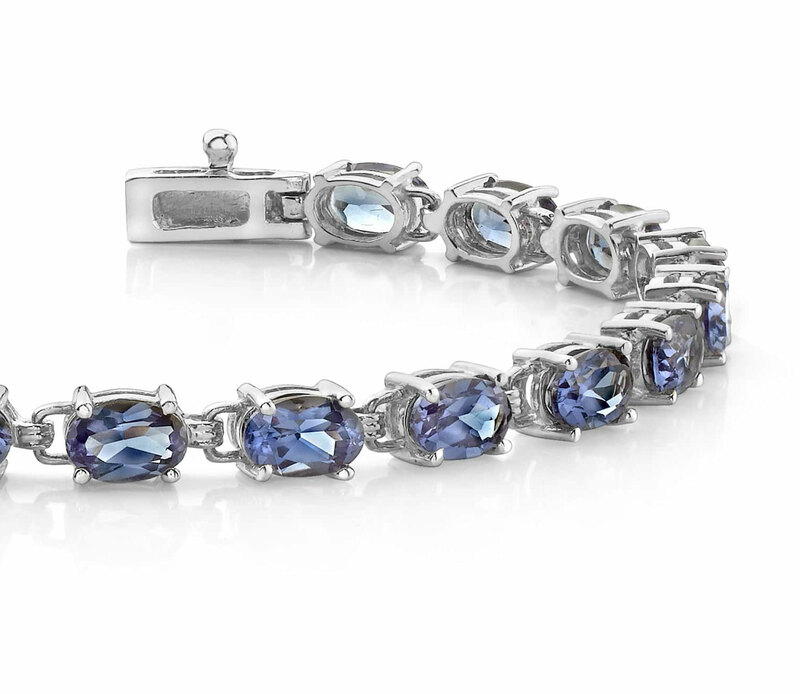 This bracelet features a beautiful, sturdy clasp and sits perfectly on any wrist. 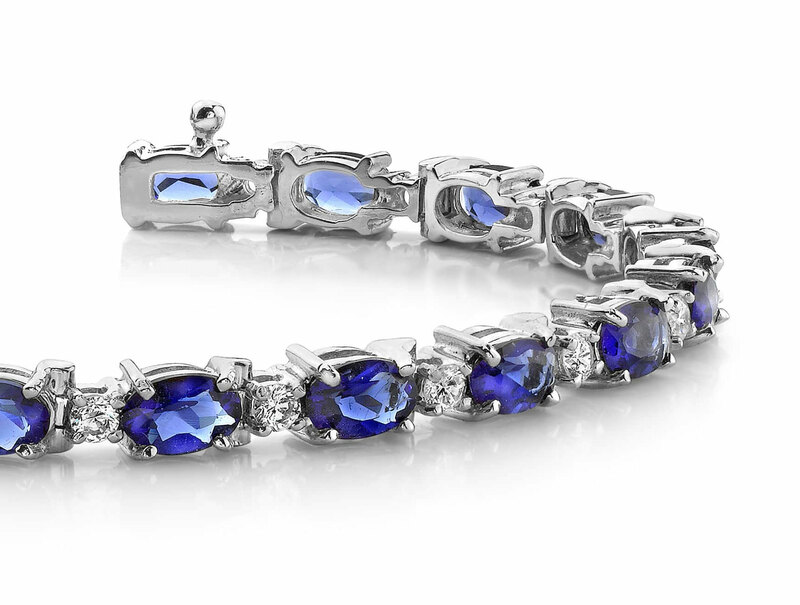 It’s available in 3 sizes of colored stones, so you’re sure to find one to suit your style & your budget. Effective Carat Weight: 7.26 ct.
Stone Carat Weight: 22X0.330 ct.